This is a very good tip for all WordPress blogger to make your blog’s sidebar look valuable and updated. We have seen and even it is a common practice that bloggers tend to add new and interesting projects, promotions and widgets in the sidebars of the blog over the course of time sometimes even for years. Each of these projects, promotions and widgets gets jammed there and the sidebar becomes out of control after months and years. Next, the bloggers become busy in de-cluttering the sidebars. Usually what the bloggers do, they remove all the outdated materials and outdated links from the sidebars. Moreover, too many links or blogroll which are not being updated are removed. For WordPress bloggers this option is quite easy. WordPress user can now do it very easily by tweaking the theme. This actually informs the WordPress to show the links in random and show only ten at a time. For further information on this function you may refer the WordPress Codex site. (http://codex.wordpress.org/Template_Tags/wp_list_bookmarks. Note: If anyone of you are using widgets with your theme then download and activate a link management widget to accomplish something similar. The above trick wont work if you using widgets. Now organize the sidebar according to your priority. Place all the important items on top or the one which has a validity date and the expiry of it is nearing. Try to use those in the sidebars which are helpful to your readers. The projects, promotions and widgets on the sidebar should serve some purpose to the readers as well as to you. It should carry a piece of advice to the visitors on your blog. It may be useful or benefit you in future, if not currently. Never put the widgets just because they look cute and the scroll of your blog will look beautiful. Ask yourself what purpose it will serve to you or to your readers before placing it. 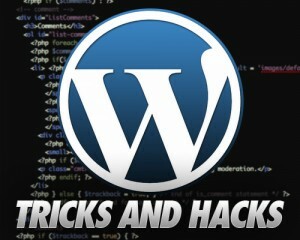 Keep reading this section Techno Samrat for all the tips, tricks and latest updates on WordPress. We will cover more exciting and helpful tips frequently. Do write comments upon this tip and also suggest if something more interesting is there in your bag which can be shared with other readers of this site.